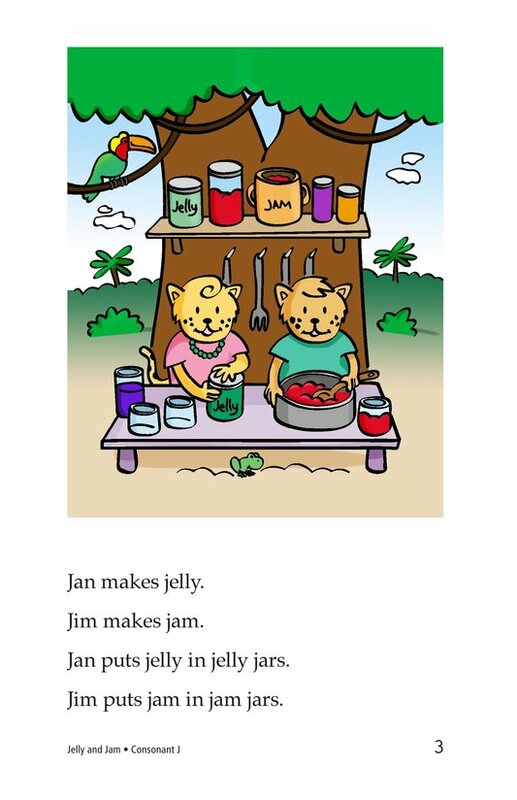 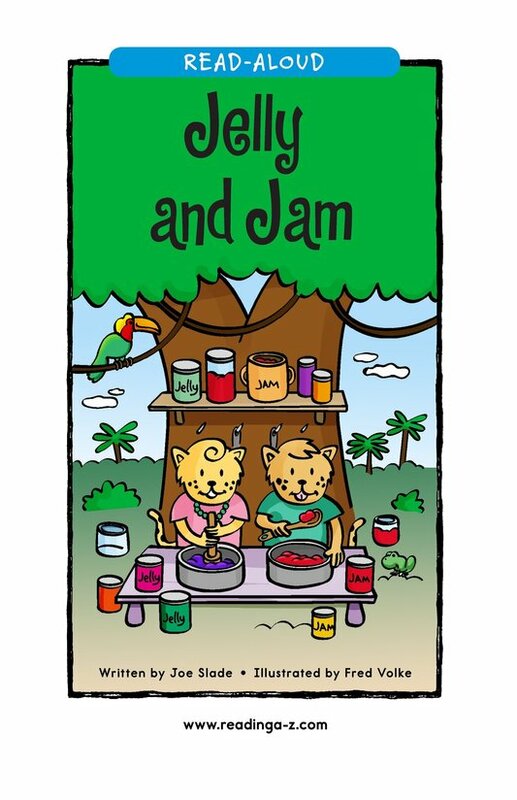 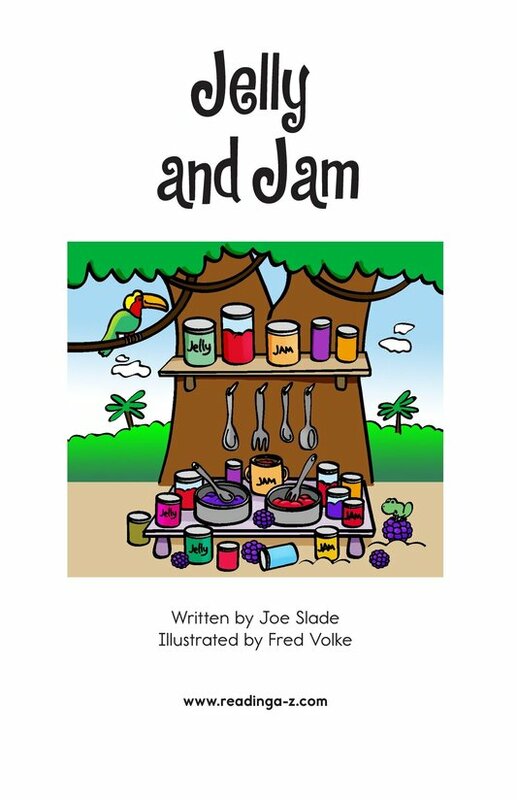 Jan and Jim make jelly and jam from fruit. 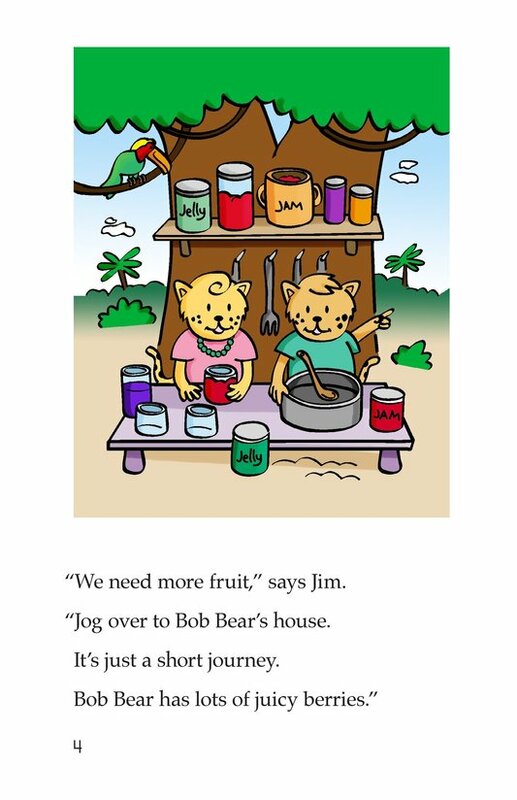 When they run out of fruit, Jan goes to find Bob Bear. 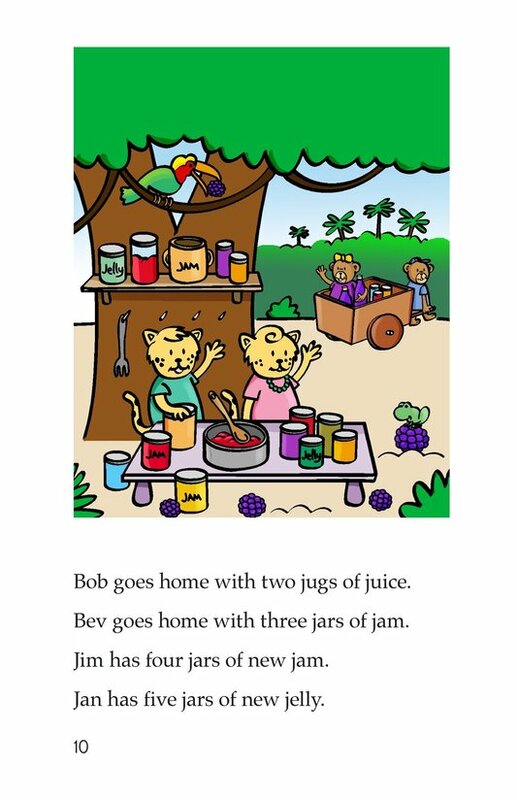 He always has lots of fresh berries to make juice. 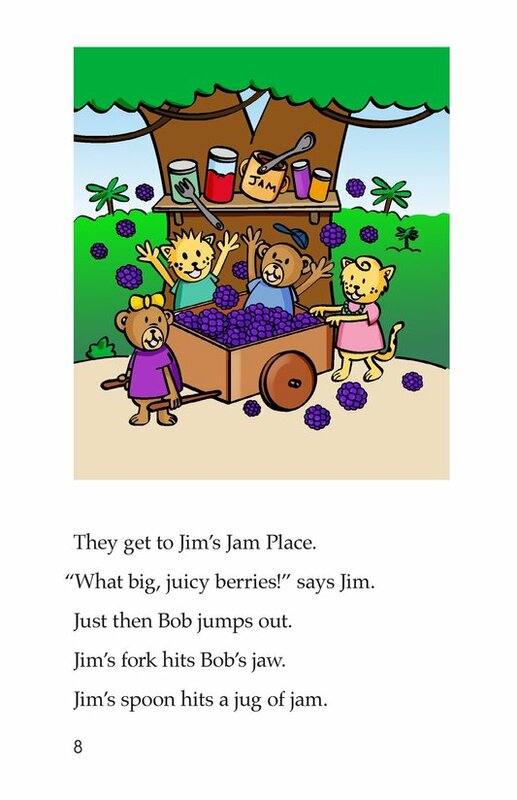 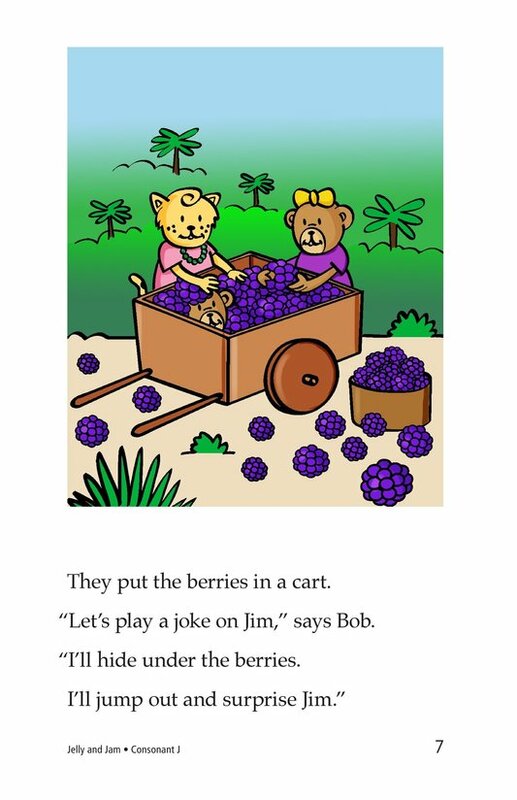 Bob is happy to share his berries and a silly surprise with Jan and Jim. 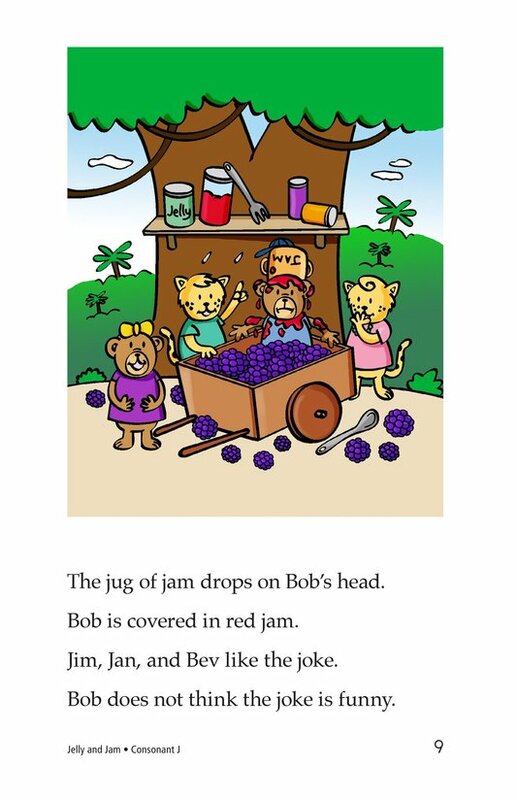 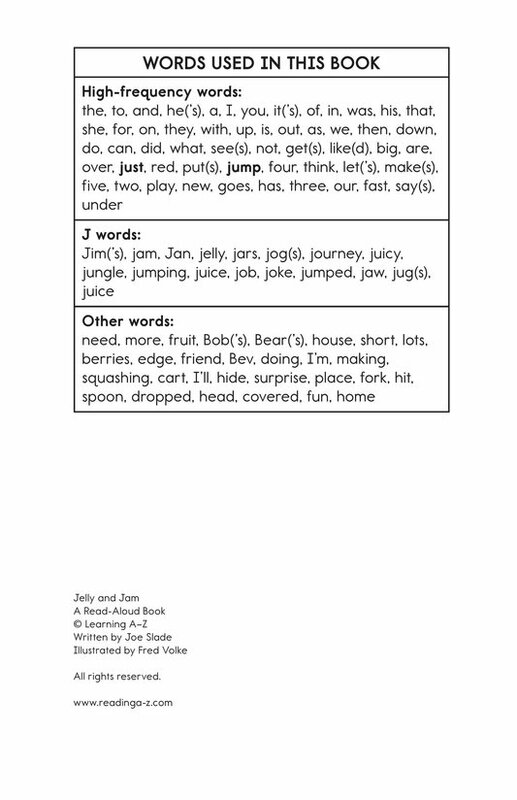 Introduce and expose students to the /j/ sound represented by the letter j.